A great shoe for the aggressive junior player. 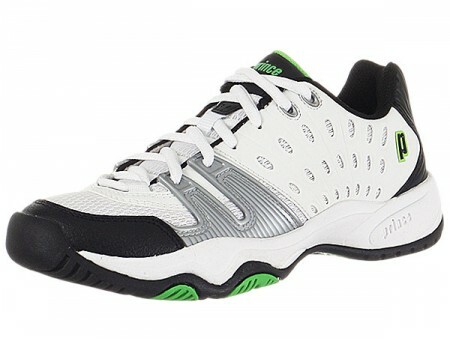 The Prince T22 Junior Shoe is a more ventilated version of its predecessors. The uppers are a combination of mesh and synthetic materials to provide both support and ventilation. 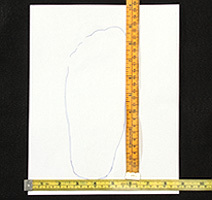 ShockEraser technology in the midsole insert absorbs heavy impact in the heel. The PRC1000 outsole provides great durability and traction. Outsole: Non-marking PRC1000 rubber compound. iTennis was extremely helpful in talking to me at length, understanding my needs and recommending a racket and the string - I never knew there could be so many options. The website is also useful for narrowing the needs before the telephone discussion. The racket itself arrived well packaged and on-time.